Apply now for summer research opportunity! 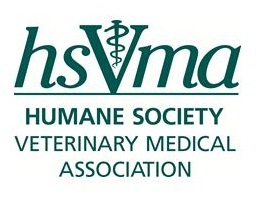 Thanks to financial support from the Humane Society Veterinary Medical Association (HSVMA), Maddie’s® Shelter Medicine Program is accepting applications for two additional summer 2013 research fellowships in conjunction with the Merial Student Scholars Program. The stipends of $5,000 will be available for the 10-week research period of May 20-July 26, 2013. Deadline to apply is March 2, 2013, at 5:00 pm EST. Students interested in a shelter medicine summer research position should submit a resumé, unofficial veterinary school transcript, and letter of intent via the form below no later than March 2, 2013, at 5:00 pm EST. The letter of intent should describe your interest and experience in shelter medicine, research experience, participation in the Maddie’s Shelter Medicine Certificate program, and why you would like to participate in the research program. Students selected for the program will work with their advisor to select a research project and prepare a full research proposal to the Merial Student Scholars Program.